Make your butter just right and you'll gets the highest quality results. Weed butter, or cannabutter, is the optimal way to transfer the THC from cannabis into an edible. Plus, with the right method, you will transfer the full spectrum of cannabis's chemical components, including non-psychoactive ones that quietly benefit your health. In this book, you will learn how to infuse weed into butter, oil, coconut oil or virtually any fat you prefer. But you can't just sprinkle your stash onto a recipe, as creating truly great weed butter is an art. 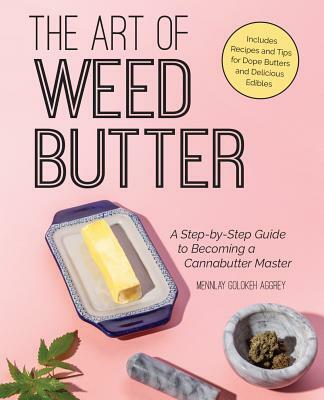 Packed with helpful color photos and step-by-step instructions, this book shows how to make the perfect weed butter for any edible and every application, from reducing stress and battling pain to helping with PTSD and overcoming night terrors. Mennlay Golokeh Aggrey is an interdisciplinary cannabis entrepreneur, working legally with marijuana since 2005. She has parlayed her advocacy for cannabis into a legitimate profession working as a creative for the likes of Whoopi Goldberg & Maya Elizabeth's award-winning edibles company. Her formal background in journalism and she has a love affair with writing, cooking, and cannabis. Born in New York City to West African parents, she finds the strongest links to culture from food, oral history, and herbal remedies. She currently resides in Northern California and Mexico as a writer and researcher exploring cannabis, and the African diaspora in Latin America. Find out more at www.mennlay.com.